Mike Turman established Turman Sa wmill in 1967 with a vision to be the best company in the Forestry Products Industry. 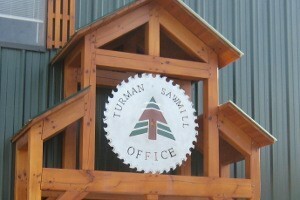 Through that vision, Turman Sawmill has evolved into The Turman Group. Turman-Mercer is a major component of the vertically integrated Turman Group. By focusing on customer needs and maximizing lumber yields, Turman-Mercer has quickly become a favored lumber supplier for customers both domestically and abroad. Turman-Mercer is a buyer of green lumber and a seller of 70 million board feet of dried lumber a year. Turman- Mercer operates multiple kilns that have the capacity to annually dry over 50 million board feet of lumber. Within the Turman Group, Turman-Mercer has access to eight different sawmills which provides them with specialized products and dimensions. Products include Appalachian Oak, Hickory, Cherry, Walnut, Poplar, Hard and Soft Maple and Eastern White Pine. The Turman Group has established itself further with Log Home, Hardwood Flooring, Mulch and Wood Pellet businesses. Through continued research and development, The Turman Group businesses constantly strive to reduce waste and market new products using innovative techniques, i.e. taking bi-products to manufacture usable products, all in an effort to be the best stewards of our renewable resources.